H144. 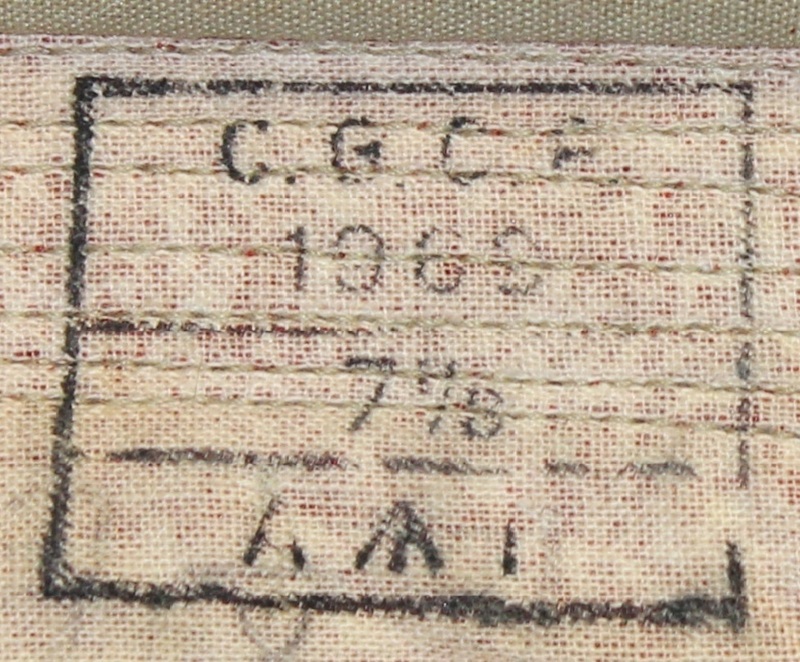 A RAAF khaki and blue cotton puggaree made by the Commonwealth Government Clothing Factory (C.G.C.F.) in 1969. H146. 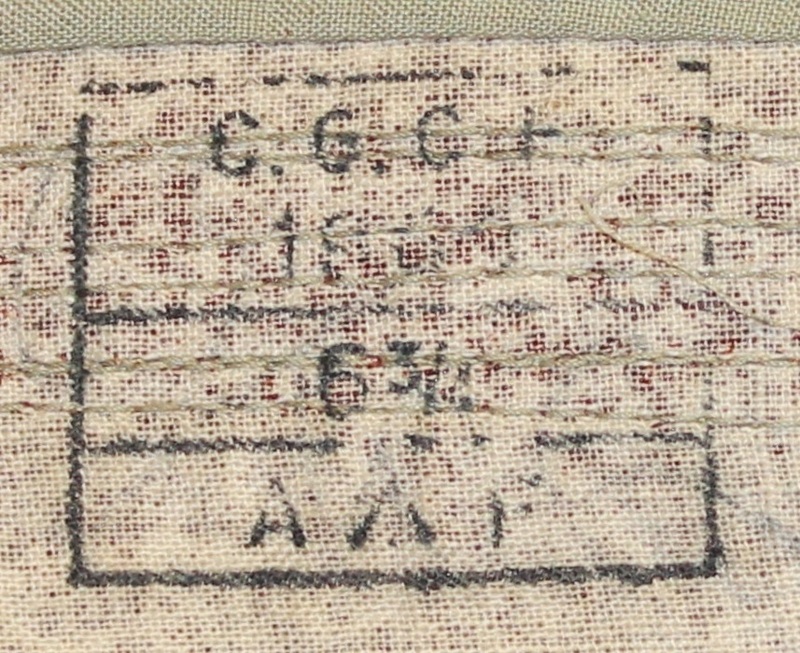 A RAAF khaki and blue cotton puggaree made by the Commonwealth Government Clothing Factory (C.G.C.F.) in 1969. H147. A RAAF khaki and blue cotton drill puggaree, possibly WW2. H148. A RAAF khaki and blue cotton drill puggaree, possibly WW2. H149. A dark blue hat band from the 1960s female service cap and anodised WRAAF cap badge. H171. 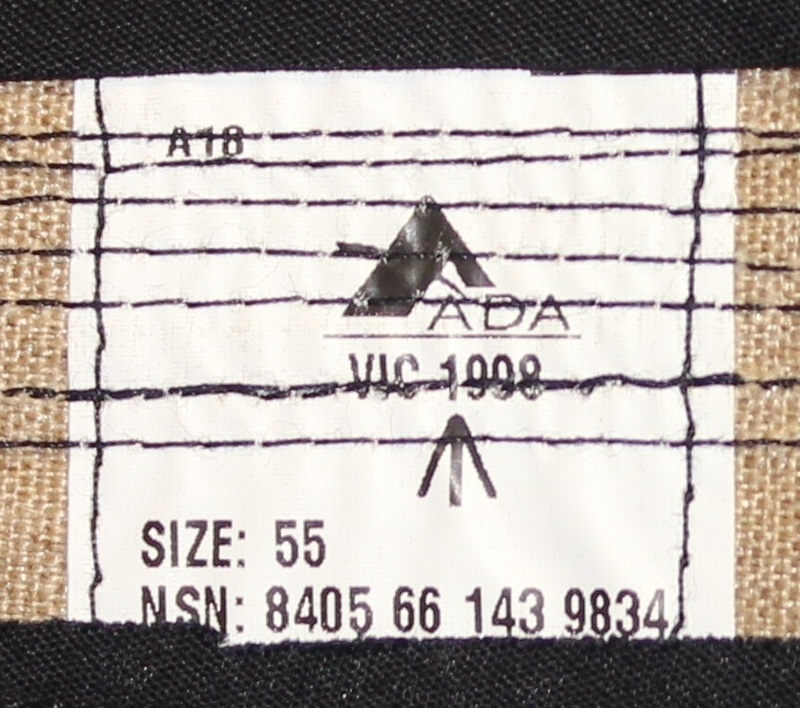 A black mohair band with gold trim worn by the Air Training Corps band at 2 Stores Depot in 1991. H182. 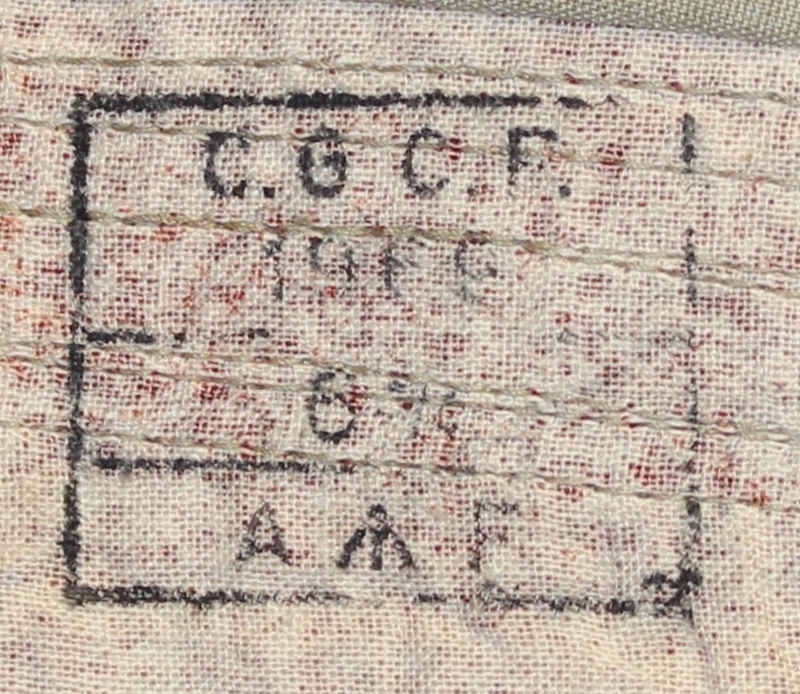 A RAAF khaki and blue cotton puggaree made by the Commonwealth Government Clothing Factory (C.G.C.F.) in 1969 and named to HECQUET A58553. H182. Name and service number inside puggaree. H182. Makers stamp inside puggaree. H280. 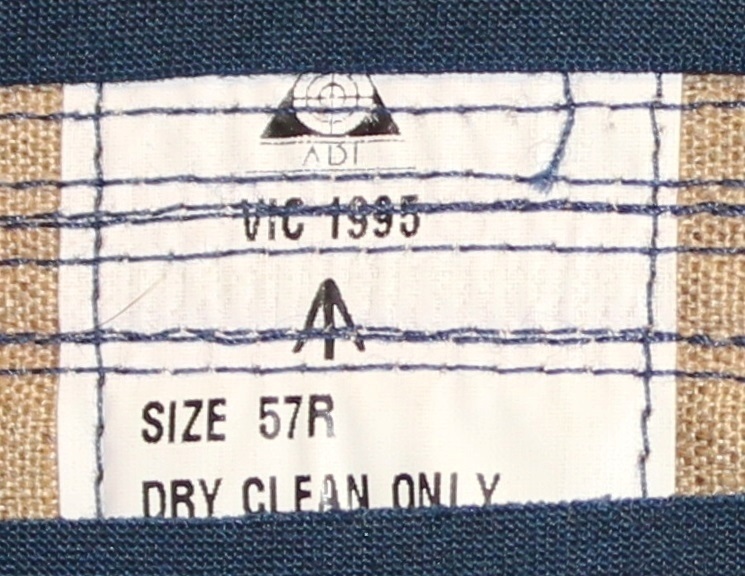 A blue/grey puggaree for the blue/grey hat fur felt, it is made by Australian Defence Industries (ADI) and dated 1995. H280. Makers label inside puggaree. H281. 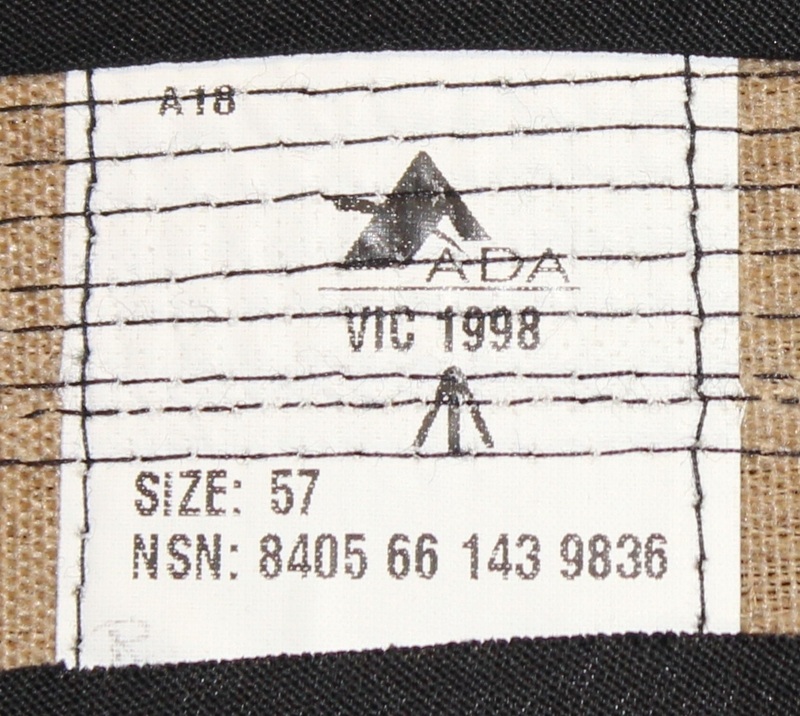 A black puggaree for the blue/grey hat fur felt, it is made by Australian Defence Apparel (ADA) and is dated 1998. It has an embroidered ranks badge in blue/grey. H281. Makers label inside puggaree. H306. A black puggaree for the blue/grey hat fur felt, it is made by Australian Defence Apparel (ADA) and is dated 1998. It has a small gold bullion officers cap badge for a female officer. H306. Makers label inside puggaree. H447. 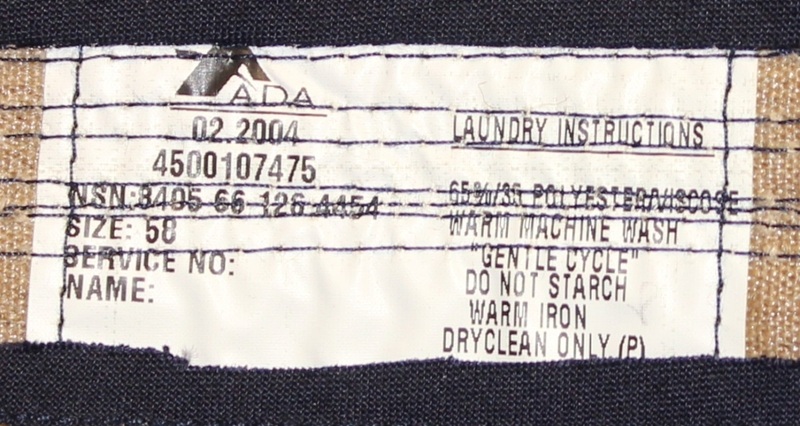 An Air Force Blue cotton puggaree made by ADA in 2004. H447. Makers label inside puggaree. H457. A cotton hat band with RAAF embroidered in gold. Believed from Richmond Bowling Club.